We’ve all heard it before…some of us may have even said this after a draft (guilty). It’s the sign of someone who bought in to the preseason hype of every player and believes every player on their team is top five at their position. Unfortunately, as everyone soon learns, that’s almost never the case. I say “almost never,” because if you somehow managed to land Trout, Harper, Betts and Arenado in a single draft, then you deserve every bit of that confidence. Of course, a draft of that caliber is impossible unless everyone else is drunk, clueless, or you own every team, I won’t judge. One thing people get hung up on all too often is the player they are giving up, rather than the player they are getting in return. Remember, in order to get talent, you’re going to have to give up talent. A good strategy is to evaluate where you are the strongest depth-wise, and find a team that is weak at said position. Then see what they can offer you in your weakest area. I know it seems like a no-brainer, but you’d be surprised the amount of people that don’t understand this concept. This doesn’t mean you should just settle for whoever they offer up. Figure out what player it is you want and stand your ground. Find a way to make it work. A lot of times, turning a one for one trade into a two for two trade, where you add someone else they have their eye on, is a great way to get them to cave and agree to the deal. No matter how much potential Trevor Story has, I will never love him as much as you do. Yes, you, the delusional Trevor Story owner. Keep in mind while trading, that you need to try and find someone that loves someone on your team, as much as you love the player on their team. Talking someone into trading for your player usually takes much more time and effort than it’s worth. If they are initiating the trade, start out high with what you want in return. Make them work up to your wants. Remember, they want your player more than you wanted to trade him, otherwise they wouldn’t have initiated the trade talks to begin with. You’ll have to haggle, but getting players on the table is sometimes the hardest part. You might have come down a bit off of your asking price, but again, that’s where the two for two trade comes into play. If he wants more in return, make them give up something as well. What I like to do in these scenarios is have them add a player I may not necessarily need, but someone I know can be easily trade-able for a need later on. Having him throw in someone with high potential is a great idea as well. Baseball is possibly the most streaky sport out there. There are always guys that come out of nowhere to go on a tear… Chris Shelton, anyone? As well as guys that get off to painfully slow starts… That means you, CarGo. Buying into the hype, or lack thereof, of a small sample size can be the death of you. What almost always happens is, owners of the upwards trending players overvalue them, asking for a fortune in return for a player due for regression. Take Eric Thames for example. He got off to a historic start which had many owners demanding players like Kershaw, Sale and Machado in return. Now, while Thames’ advanced stats suggest he isn’t in line for a massive regression, they do suggest that he will end the year in the second tier of outfielders. Not a guy worth the high asking price. While counting stats are truly what you rely most on for fantasy baseball, Sabermetrics can help you further analyze what kind of year a player is trending towards. My favorites that I find most relevant are BABIP, wRC+, and hard contact %. These can be great indicators for whether a player is trending up or due for major regression. As much as I’m not a fan of that show, Pawn Stars, for those of you who were confused, that is one aspect of the show that you can legitimately transfer to the fantasy baseball realm. 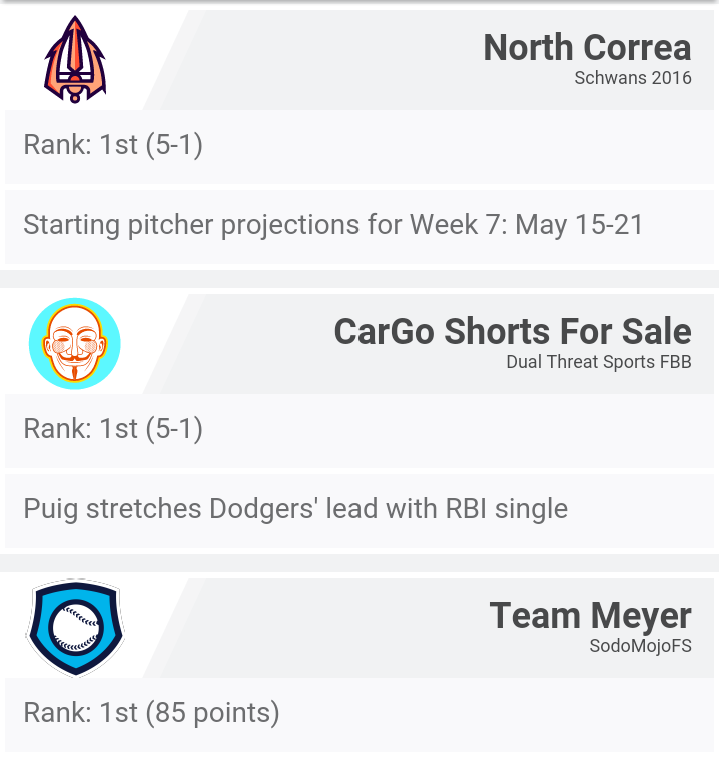 Now, not everyone has a fantasy baseball expert on speed dial, but non-biased opinions from fellow players, friends, or even people within the industry who like to answer questions can be invaluable. For example, experts like @RealTalkRaph from Rotoballer Radio on Sirius XM, gives great insight on his Twitter page and can be incredibly helpful. Even the Fantasy Baseball subreddit has some really knowledgable people. Like I mentioned before, both you and opposing owners are going to value your players a bit more than you should, so sometimes it’s important to get a level-headed person in there to bring you back down to earth. Injuries and DL stints can be the quickest way to derailing someone’s playoff dreams. Often times, when a big player goes down, it sends the owner into panic mode. If you have the depth at the position the other manager needs, 9 times out of 10 you can ask for more than you normally would and the manager will agree. Nobody wants to be the guy picking up the scraps from the bottom of the waiver wire. Use their weakness as a strength for yourself. 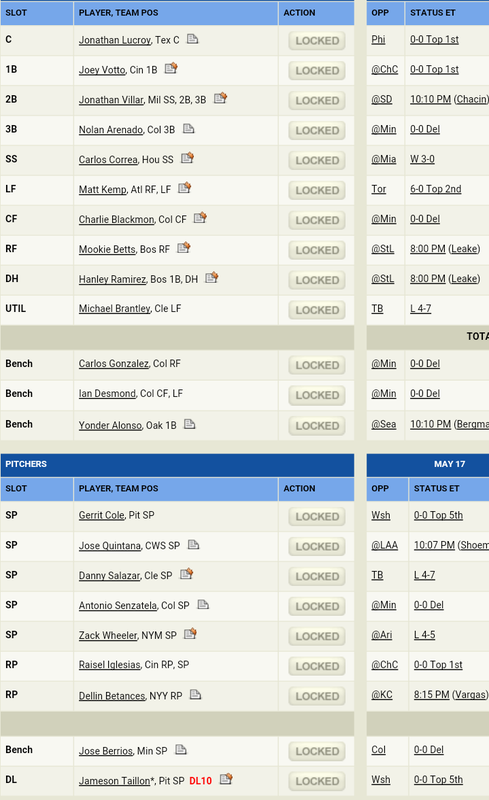 Last but not least, probably the most crucial aspect of fantasy baseball. Everyone knows that young pitcher that’s been doing well, let’s use Antonio Senzatela for example. He isn’t going to help you win late. In an era where innings are the devil to pitchers, it is almost guaranteed that young guys will begin to have their starts skipped later in the season. While it’s nice to ride him now, it’s crucial that you know when it’s time to move him for a more established arm or decent hitter. Even trading them straight up for someone doing a little worse (with high upside) or rotting away on someone’s bench, can a good idea. It’s not crazy, I promise. Quintana, Estrada or maybe a Gerrit Cole owner discouraged by the lack of wins would be great players to target. If need be, do not hesitate to throw in a low-end hitter. These are guys that will have decent production right now, AND can also be counted on come fantasy playoff time. 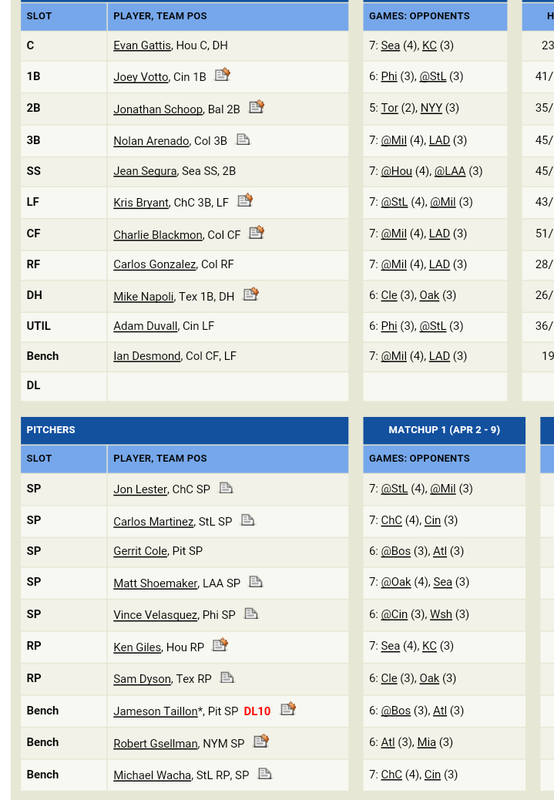 Don’t be that guy struggling to find pitchers as the playoffs start, because your main guys are getting rested due to innings caps. Knowing the difference between who can help you now and who can help you later is something I really cannot stress enough. Underperforming guys with fed up owners, guys off to slow starts or guys recovering from injury are perfect to target. Two weeks ago, I traded Corey Kluber straight up for a struggling Carlos Correa. At the time, I seemed a bit crazy. Kluber was just coming off of a monster complete game and Correa couldn’t hit the broad side of a barn and was zapped for power. Fast forward to today and Correa is looking like the second best SS in fantasy baseball while Kluber is on the DL. Sometimes a players immediate success doesn’t mean they need to stay on your roster, it means it’s time to shop them before they have a chance to regress. Trading has been something I’ve relied on year in and year out to help me win my leagues. If done correctly, you can turn your team in to an unbeatable monster before anyone else even realizes what you are doing. I hope these tips help! Any questions, you can always find me in r/Fantasybaseball over on Reddit, (username: buhhlockaye) or you can always hit me up on Twitter here!